631 Kirkshire is an ideal combination of a fantastic Kirkwood location, a flexible floor plan and well-maintained charm. Itâs appeal is evident from the start! The handsome brick exterior and one-yr-old roof entice you to enter from a covered porch, OR through the coveted 2-CAR attached garage! Hardwood floors greet you inside the living room & flow throughout, into each of 3 main floor bedrooms. A roomy, eat-in kitchen w/adjacent dining area invites your finishing touches. An additional den/family room provides airy, added space for fun and function. Down the newly carpeted stairs, an impressive, finished lower level completes the package with tons of well-lit living space, another fabulous full bath, and great closets for extra storage. The back yard is flat and fully fenced for year-round enjoyment! The neighborhood is cohesive and quiet, and so close to all the wonderful amenities of Kirkwood. 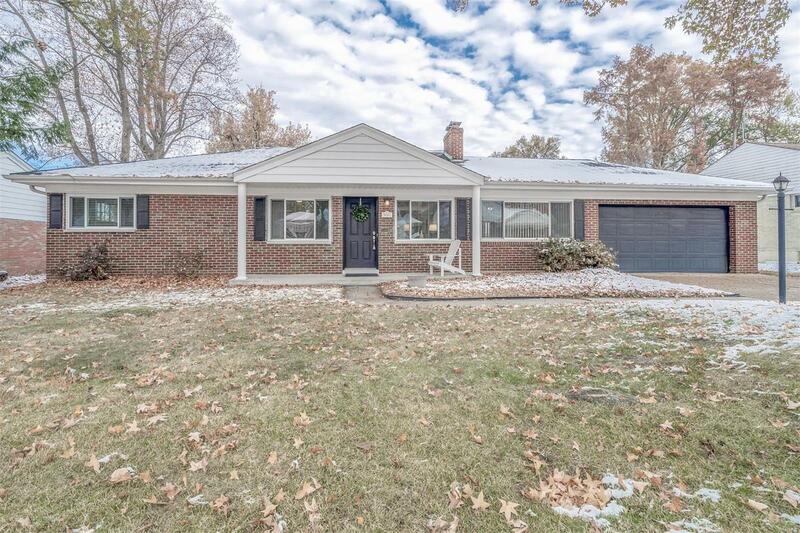 This ever elusive 3 bedroom, 2 full bath ranch is certain to impress!